Around this time every year, TSR threads about how to improve grades abound. They are often started by students who underperformed in their mocks and have low predicted grades, but are determined to achieve more in their real exams. Questions like Can I go from EEE to AAA in 3 months? ?, How do I revise?? I want AAA* and Can I turn my grades around? get asked, and the advice comes flooding in, often from people who have been there, done that and transformed their own grades. If possible, ask your teacher for feedback about your mock exams. It can highlight the weaknesses in your exam technique or your knowledge which you should target for further revision. Make sure your revision notes are up to date and concise, easy for you to remember. For essay subjects like English, it can help to prepare potential essay plans and a bullet point list. Practice exam papers can be an excellent way to test what you know, and again, if you can compare your answers with the mark scheme, it can give you an indication of your progress. Work hard every single day. It definitely will pay off, just put in the effort and make sure you don't doubt yourself. It's all about working smart – do lots of past papers and don't just sit there and memorise content for hours. Yes, you need to know content in order to smash past papers, but make sure you don't spend too much time on content and only a little time on past papers. Nobody decides what grades you get other than you. I went from E in AS chemistry and D in AS Biology to two As (81% and 83%) after a resit in which I had only two-and-a-half to three months for preparation. I always thought that I couldn't do it and everything was hard but it turns out if you put in the effort and stop thinking about other people you can achieve whatever you want. Study six to seven hours a day and the rest do whatever you want as long as it doesn't bring your motivation down. Maybe start meditating and working out and leave social media behind. If there is a good private tutor around in your area get them and spend money on them.This might be the best invesment you will ever do because the tutor might help you get 3 As and get you the dream job you want. Don't just read your things and spend excessive amount of hours on a topic only to forget it later, actively study! Which means reading then recalling, past paper questions but use them properly! Maybe do a topic and do the relevant questions because at the moment if you have so much content to get through it may seem like you have to wait and put them off (don't do this!) just practise as much as possible. Don't panic AT ALL! if you panic you will set your self behind, you will probably spend five minutes panicking which you could be using studying. Just work so hard and have a plan, so many students succeed because they know how to study and not because of the time they spent studying. Work as hard as you can and just think about how you'll feel on results day in three months with your four As or whatever your goals are. There is no substitute for hard work, work like crazy for four months and three A*s are achievable, that is more than enough time to revise. Make a plan, wake up at 6am every morning do two hours of revision before college, find an efficient way to revise. Get your notes done fast then focus on learning them. Don't give up, when things get hard push yourself, never let anything put you off your goal. Nothing is more powerful than motivation. It is hard work, but you just need to grit your teeth and do it, for these few months if you make it your only priority, it will definitely be worth it. Make sure you are harsh with yourself when marking and testing, getting an A* is more about knowing every single small detail and WHY, than simply just knowing your course. I would suggest you make your notes that you'll revise from (they need to be at the level where you don't need to refer to any other source) for the next two months – and you should also make sure you re-learn your AS content as well. After this, you should do all the past papers, and add to your notes with exam questions. And then repeat, learning your notes again. Need more revision motivation? Go to our Grow your Grades competition forum for inspiration and to support others on their journey. We’ve teamed up with mobile network VOXI to bring you brilliant revision and exam support this summer. 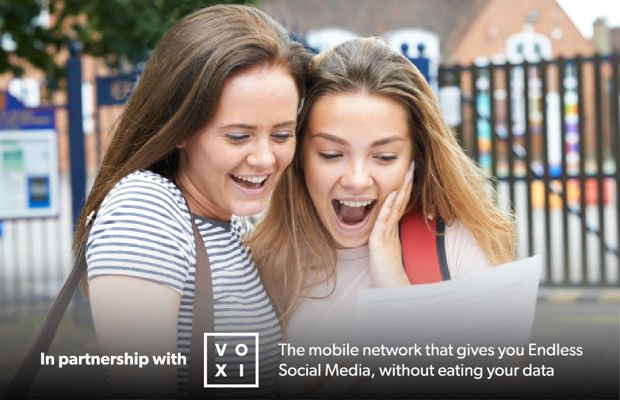 VOXI’s mobile plans are specially designed for school, college and uni students, featuring unlimited social media use (that doesn’t eat into your data), plus unlimited calls, texts, picture messages and roaming – all with no contract to sign. Head to the VOXI site to see how its plans can help you stay connected this exam season or go to our revision hub for more help with your exams.